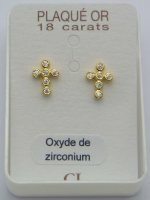 Religious cross earrings and earrings depicting the blessed Virgin Mary. 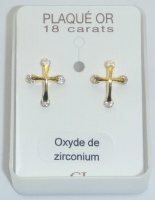 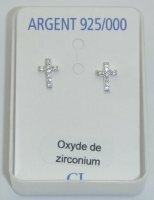 925 Sterling Silver Zirconium Oxide Cross Earrings. 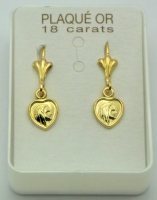 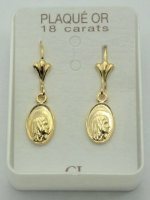 Gold Plated Virgin Mary Earrings.